Paula’s artistry and ability to convey the process has been recognized and acknowledged by students nationwide as superior. Paula takes artistic license with realism in a manner that is bright, fresh and picturesque. Woven through each one of her designs is the stamp of her creativity. She ventures from dazzling to elegant in the subjects she chooses to re-create in fired art. 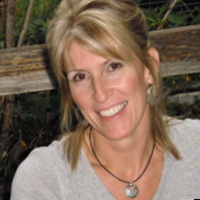 Paula has traveled extensively teaching others her style of decorating. She is based in the Dallas – Fort Worth Region of the U.S. She is the Associate Director for all Licensed Associates/Consultants for Colors for Earth. Paula holds Certification Certificates from: Duncan, Gare, Mayco, Doc Holiday, Ceramichome, Dona’s. Contact Paula for more information about bringing the Colors for Earth Colors into your studio or becoming a CFE Traveling Teacher. Blessed to be Married to an amazing pastor since 1985 and the mother of 4 great kids, I have been painting, and teaching people to paint, most of my life. I am a certified teacher for Doc Holliday, Kimple (Creative Paradise) and Colors For Earth. I developed a deep love for painting at a very early age. Casting, cleaning greenware, and even hand-building were all a part of my every day childhood, growing up in my family’s ceramic business. However, sitting at the table during classes and seminars, soaking up information and painting along with the students was by far my favorite way to spend the day. Learning from the previous generation’s wealth of knowledge and from talented teachers, including my mother, and even some that traveled to our shop, from as far as Germany, gave me a broad range of techniques and perspectives. My family owned several shops throughout the metro Denver area over a 40 year period, including a plaster mold company, giving me a broad range of experience with several different types of clay, hydro cal and porcelain. I began teaching in high school and have been teaching ever since. I love it! It gives me great joy to see people find talent they never thought they had and take home pieces they can be proud of . There isn’t a day that goes by that I don’t see the colorful clouds in the sky or the deep purple mountains and get the urge to pick up my brush and paint because of God’s beautiful creation! I have tried to create inspiring pieces with easy to follow instruction packets to help you learn to paint. I hope you will paint along with me and enjoy it as much as I do. Please feel free to ask me questions as you paint along! Happy Painting! Mark is available for private instruction in drawing in graphite, soft pastels and scratchboard for the beginner to the intermediate level learner. 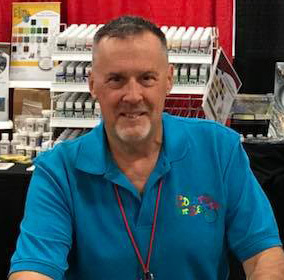 He has a various online courses available for download and currently travels throughout the United States holding workshops for fused glass painting and graphite drawing. Originally from Perrysburg, Ohio, Mark Hufford currently resides in Austin, Texas with his partner Patrick and their two fur babies Klaus & Leisel. 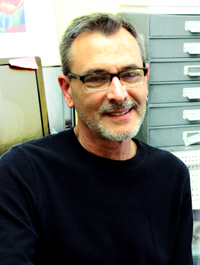 He obtained his Bachelor of Science Degree in Graphic Arts from the Art Institute in 2012. Margie has worked in ceramics and glass for many years. Margie is in the Houston, TX area. Margie has taken and continue to take classes from many different teachers and learned lots of different techniques with different products. Margie has come to love the brightness and versatility of the Colors for Earth products and are using them exclusively in my work. Margie has been working with Paula McCoy for the last 10-15 years and have attended all her retreats except for one. This keeps Margie up to date with new techniques that CFE comes up with. Margie has always had hobbies and loved painting from the first time she picked up a brush. Life got in the way after a couple of years back in the 80’s. Her studio was destroyed by a hurricane and then she attended college. So it was in the late 90’s that she came back to ceramics. Of course, ceramics led me to all things fired including raku and fused glass. Painting of all the various mediums in fired arts has provided me with some much needed therapy from my full time job. 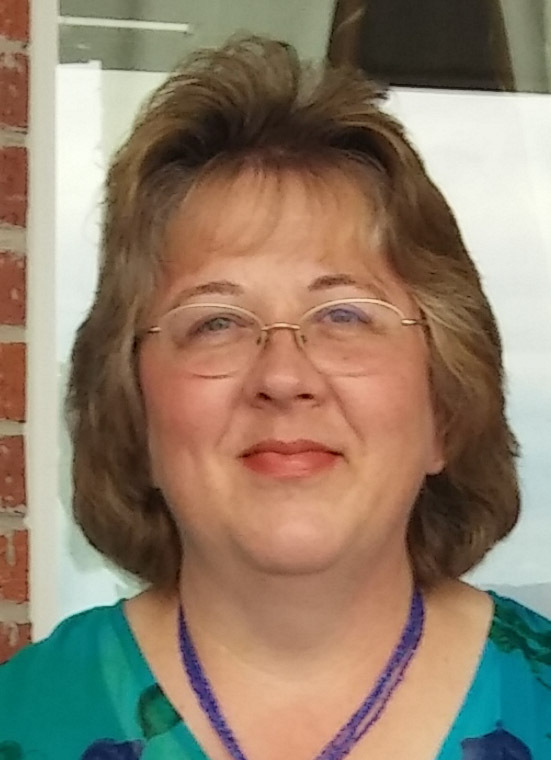 She retired in 2017 and has time to pursue teaching and possibly some traveling. Debbie received her Bachelor’s degree in Fine Arts from the University of Texas at El Paso in 1981 and has worked in many mediums – painting, drawing, metals, weaving, woodcarving. But when she found glass in 2000 that was it for her. She retired from a corporate career in early 2013 and has worked full time in glass since that time. Timberidge Glassworks is her glass business, established in 2013 in east Texas and subsequently moved to Ft. Worth, Texas in 2017. She adores having a glass studio in the back of her home and finds herself in it at all hours of the day and night. It really is her happy place. Glass indulges her fascination with light and color and texture. Teaching classes is a joy to her. She finds it really rewarding helping others achieve their vision with art and she finds that she always learns from her students as well. 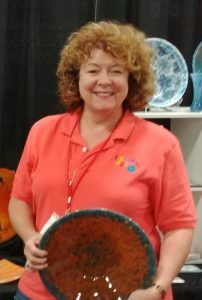 She uses a variety of techniques with both glass and enamels. She uses vitreous inks (ink made with enamels) a great deal. She also created the technique that allows us to make murrini with clear glass and enamels using a vitrigraph kiln. She enjoys experimenting and coming up with new ways to approach her art. 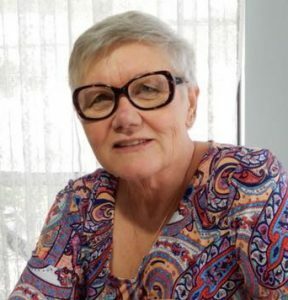 She is able to teach project-based classes with glass, enamels or ink and she can teach general fused glass construction for beginning and intermediate glass fusers. Bill, originally from Boston, Massachusetts, comes from a high tech career that started in the mid-1970’s as a printed circuit board and computer system designer. Until 2005 he worked for a worldwide chemical manufacturing company where he implemented and installed Laboratory Information Management Systems in the US, UK, and the Far East. Bill started working with stained glass in 1969 and kept his hands in it during most of his work career. In 2001 he started experimenting with glass fusing while living in Sarasota, Florida. After retiring in 2005 he moved to Palm Springs, Ca and spent more time in his home studio playing with different techniques in fused glass, eventually trying and enjoying working with fired glass enamels. Bill is an avid SCUBA diver, always looking for that next great dive spot and working on his “must see” list of sea creatures. These days, he teaches beginning fused glass classes and volunteers his time at Old Town Artisan Studios in La Quinta, Ca., a non-profit organization in the Coachella Valley that provides positive art experiences for all people, despite age, disability or financial disadvantage.